Apologies for an extended absence. 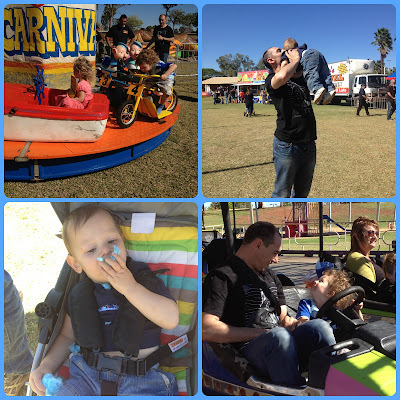 It seems my small people have been keeping me very busy as of late. We are on a continuous sickness loop with all the lovely winter bugs and nasties going around and most of my days with the kids revolves around finding something for them to do to tire them out between sleeping. Mouse is getting so big and headstrong. I am so happy the boys play more together, but this has also meant they are starting to fight together too which is exhausting to break up constantly. Mouse thinks he is bigger than he is and wants to play with Mushroom. I am torn between wanting them to play well and understanding big boy wants his space and privacy sometimes too, especially when Mouse is slightly destructive. However I Mushroom also thinks Mouse is bigger than he is and lots of accidents and tears have been of late with a bit too much rough playing. Mouse recently self inflicted a nice gash above his eyebrow by testing his running and not stopping skills into a table, he'll have a tough guy scar. Mouse. Battle scar in 2nd frame, incy wincying in 3rd. My baby has started to sleep through the night, which I am very excited about. It's been a few weeks now and I have become used to the 12 or nearly 12 hours he sleeps every night. I am a happier lady if he decides to wake up past 7am. This means he has dropped his midnight feed and I feel we are on the way to weaning which I have mixed feelings about. I love he is still my baby and we still have that special time, even if it is only for short 'snack' feeds in the early morning and right before bed. My big one will start Kindy next year, he will be 4 in September, he is constantly going on about his party and birthday presents already, will be a long 2 months. I am really excited for him to go to school, will give me a little more time to myself and Mouse will be taking on his 2 days at daycare. A few things have happened over the last month. I turned 25, which was much of a non event but ended up being a lovely day of leisurely lunch with friends. 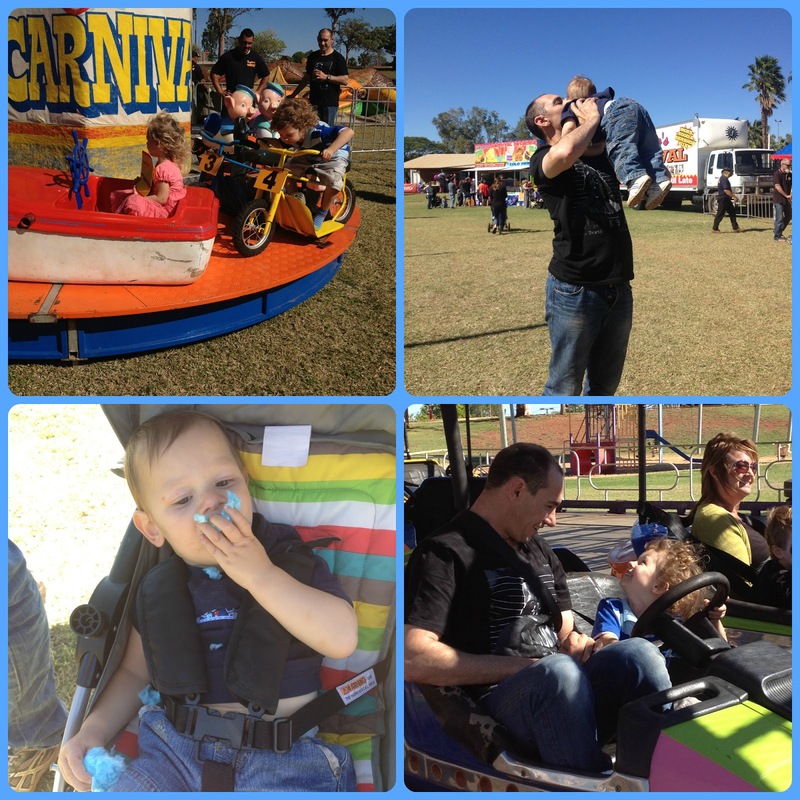 The next day was the family fair and I enjoyed even more than the ball, was lovely to introduce my kids to things such as fairy floss and bumper car rides. Was typically heinously expensive but we had a great time having icecream for breakfast. Husband has left yesterday for a work course in Perth for 5 days, this had immediately meant the kids are just all kinds of awful for me today... and also waking last night. I am exhausted and can't give them away. Since he will go to work again for 8 days as soon as he returns I will get no break. I am not so happy about the next coming months. Husband has decided to do another two Army course. That's 2x 16 days again. I am already having anxiety over it. It gets so lonely here on my own and knowing every night you have to wake up again to the kids and entertain and feed them all day with no one else to talk to and then go to bed and wake up and do it all again for 16 days. I just get no time to breath. I hate the Army at this point. Either Husband will hopefully be less fanatical soon or I will have to tell him I just can't take any more and he will have to stop entirely. 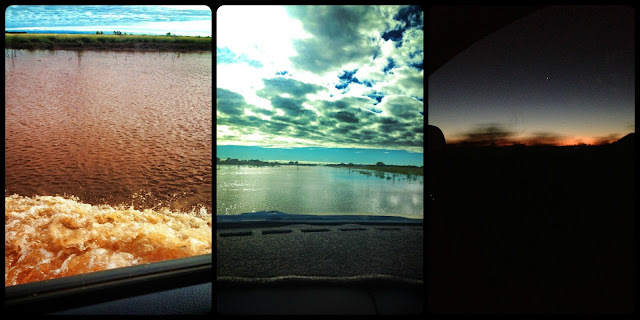 Flooding on the road to Karratha. First star at night on the top of a Pilbara sunset. I cannot believe it is only just past 10am, today is going to slowly. I did a full house clean yesterday, vacummed, mopped & scrubbed some walls. There are already crumbs, fruit loaf and icing smeared on every surface. 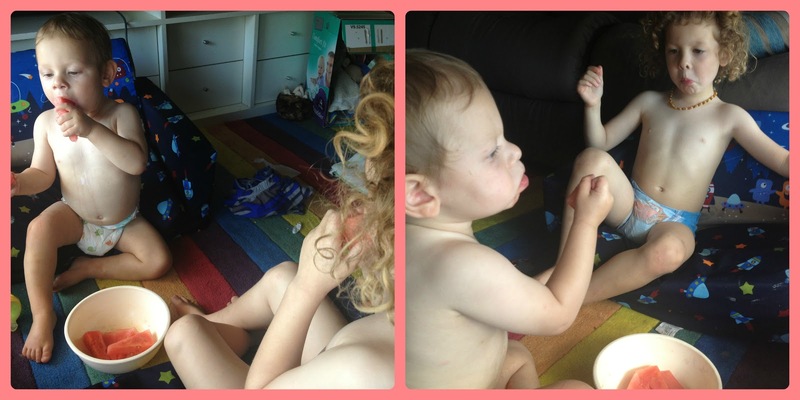 A rare quiet truce with watermelon and mouths full.